Warner Home Video has announced and detailed the DC Universe animated original movie set Batman: The Dark Knight Returns Deluxe Edition Blu-ray and DVD. The 2-disc collection includes: Batman: The Dark Knight Returns Part 1 and Batman: The Dark Knight Returns Part 2. 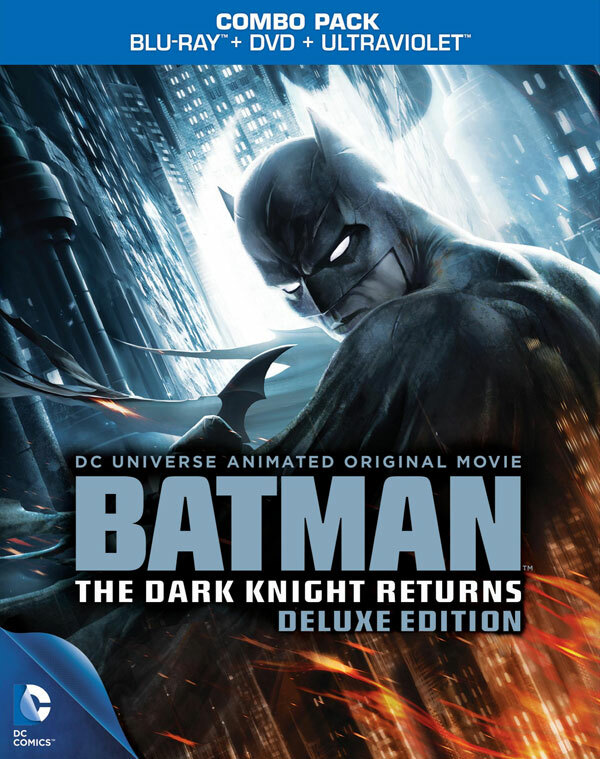 Batman: The Dark Knight Returns Deluxe Edition includes Parts 1 & 2 and UltraViolet digital copies, allowing viewers to download and instantly stream the films to a wide range of devices from computers and compatible tablets to smartphones, game consoles, Internet-connected TVs and Blu-ray players. The Deluxe Edition will be released on October 8, 2013 and is available for Pre-order: Amazon.com.